Last night was the annual Feather Awards held at City Hall, Johannesburg. The Feather awards is an award show that recognizes and celebrates the LGBTQI community and media personalities. 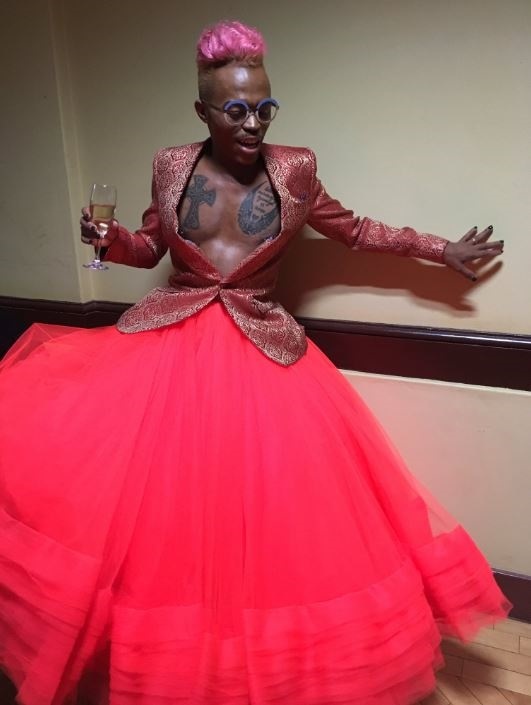 Take a look below of what some celebrities wore to the #Feathers10. Let the night begin... ???? | ?? : @orapelengmodutle ????‍?? : @thesanhair ?? : @huesandtonesza ##OwnYourThrone?? #Feathers10 ???‍?????? ?? : @neilramautar ?? Thursday 15/11/2018 ? Feather Awards ? ?? @rubiconclothing ? ?? Xoli @skinscosmetics.sa ? Hair @adehairofficial? Looking forward to presenting the Feather of the Year Award @featherssa.....Let's ???? #feathers10???‍?? #Feathers10 last night ???‍?????‍?????‍?? My favourite award show of the year! Every year! @thamidish salut for all your hard work, dedication and passion! You did it again?????? Had the honour of handing out the award for Socialite of the Year! Congrats baby @yayarsa ?????????? Dress by @cinnelstore ?? Earrings @folli_follie_sa ?? Hair by @saadique ?? Photo by @photogeniustats ?? ?? That smile stays on this face! Thank you to my team who is so amazing on the vibe - @adehairofficial , @khosinkosi , @rubiconclothing , @bonolo_bae ? ?#feathers10 #iamsimonnkoli ???‍? ?